v 1.1 - Installer and interface were improved. v 2.0 - New tool - Defringe zone brush for color unmixing was added. Using this tool you can extract semi-transparency objects like flying hair, glass objects, smoke and haze properly. v 3.0 - The new tool for lace-like object extraction was added. 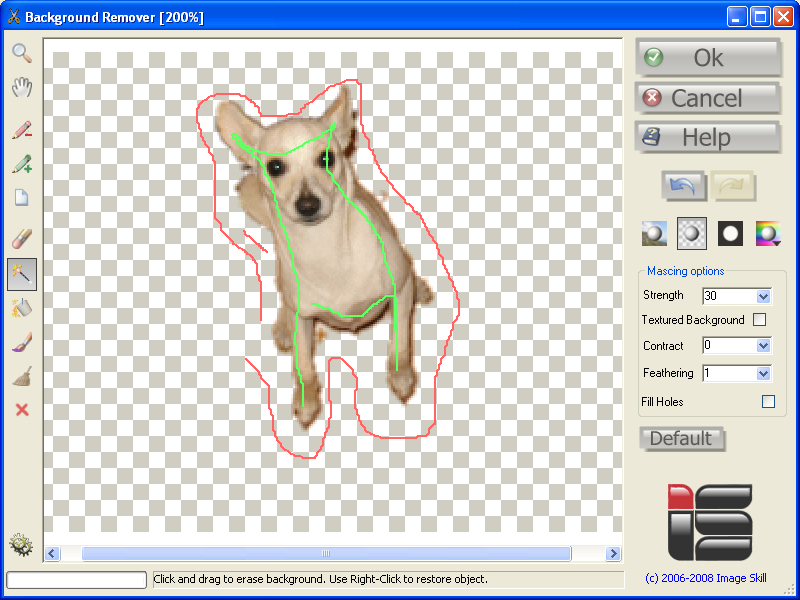 Background Remover receive new interface, most of tools were improved.The undo/redo feature was implemented also. v 3.1 - The milti-language interface was implemented (English, German, French, Italian, Spanish, Dutch, Russian, Japanese, Chinese Simplified, and Chinese Traditional) . Our image is a background and we must create layer. For example: in the Adobe Photoshop "Layer->New->Layer from Background". For Corel (Jasc) Paint Shop Pro family use the "Layers->Promote Background Layer command. Control layer creation using "Layer" palette. 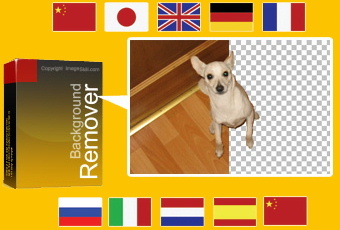 Run Background Remover plug-in: "Filter->Imageskill->Background Remover". Select Mark Object tool and mark object (green curve). Select Magic Wand tool and mark background (red curve). When you release mouse button, the background will be removed. 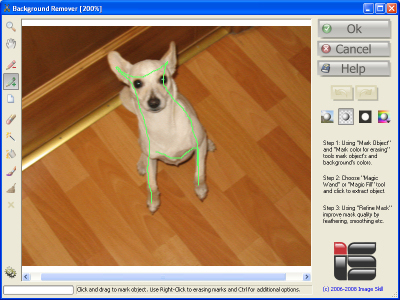 In order to mark erased object, use mouse right-click. You can see that background is not deleted properly. Increase Strength parameter in order to increase degree of erasing. Set Contract parameter to 1 in order to avoid high-contract border around dog. 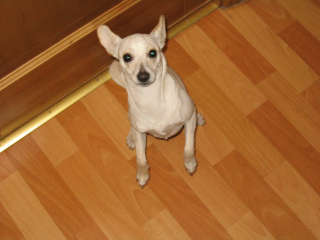 Set Feathering parameter to 2 for opacity drop-off around the outside of the dog. Use this tutorial to learn how to extract an semi-transparent object (woman with flying hair) from an background texture. 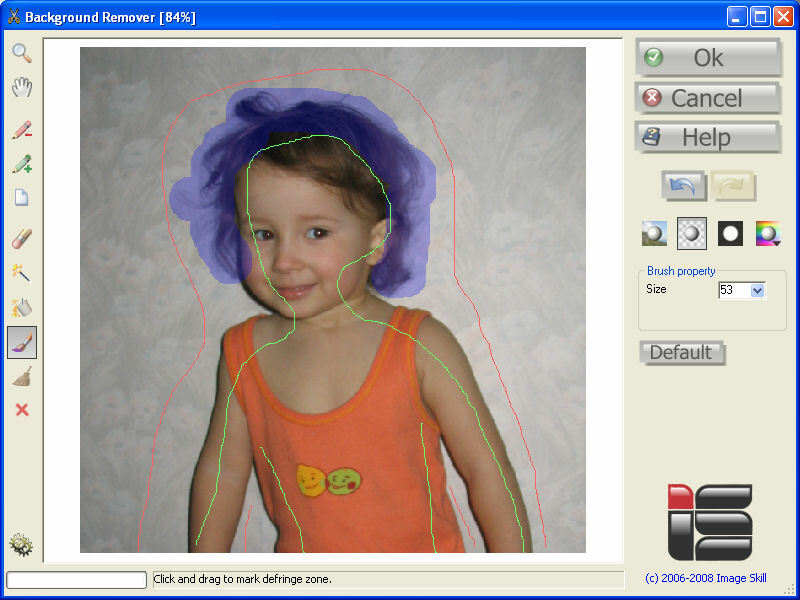 Run Background Remover plug-in:"Filter->Imageskill->Background Remover". 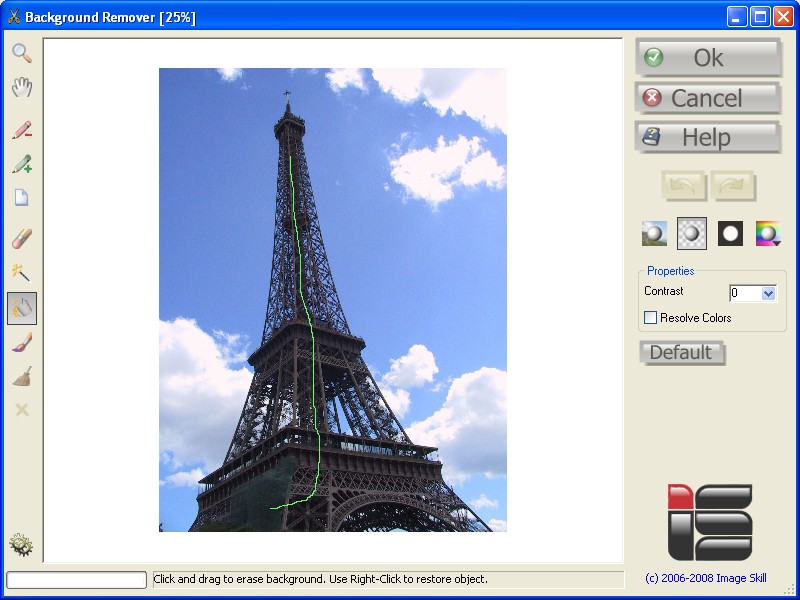 Select Magic Wand tool and mark background (red curve). When you release mouse button, the background will be removed. In order to mark erased object, use mouse right-click.Set flag Textured Background if your object is placed on textured background. Using Defringe zone brush tool and mark woman's hair. In marked zone the object's and background's colors will be unmixed. We can see that color are unmixed properly and woman's hair looks naturally on different background. This is a final result of extraction. Use this tutorial to learn how to extract a lace-like object (jewelry, branch of tree etc). 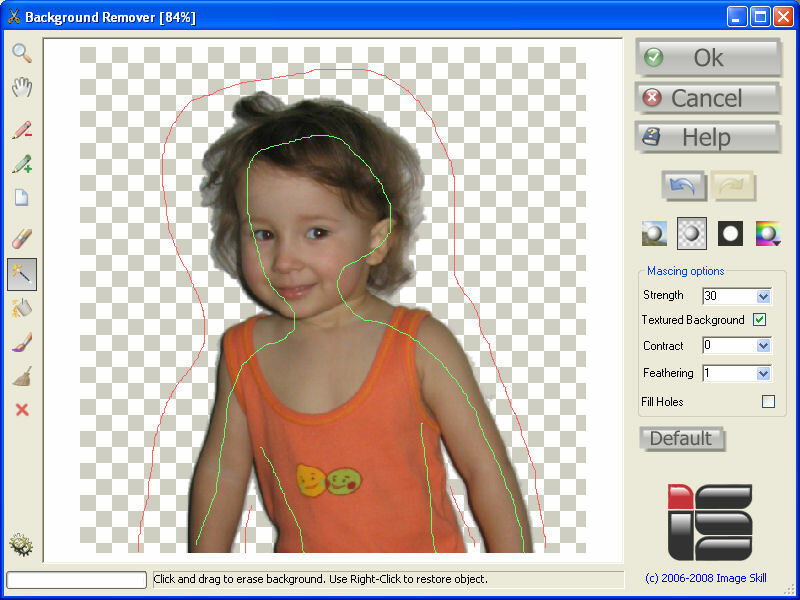 Create layer form background image as described above and run Background Remover. 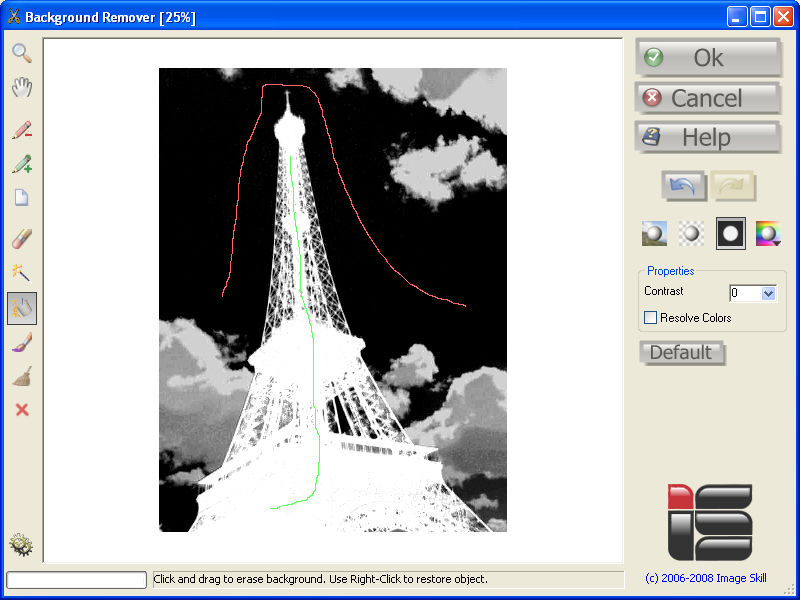 Select Magic Fill tool and mark background (red curve). Make a mouse click to launch extraction. Using Magic Fill tool you can set colors for removing by left mouse click and set colors for keeping by right mouse click. Whole image is processed, so you can extract lace-like object by marking object and background colors. PixelÃ¢â‚¬â„¢s colors looking like a marked background colors will be processed. To all of these pixels some transparency value will be assigned. 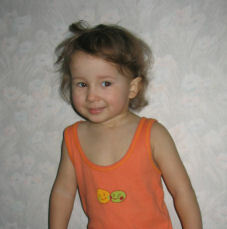 You can check the result by placing it against colored matted background. If object and background share some colors, check Resolve Color flag. 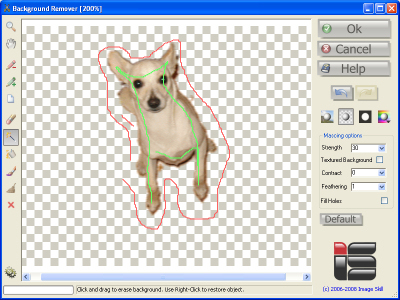 You can refine the resulting mask by adjusting the Contrast parameter. 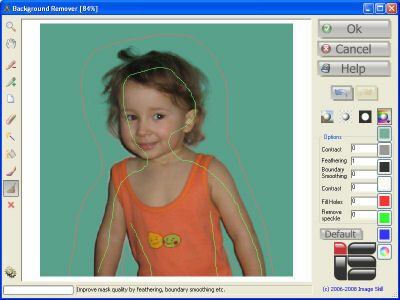 The final mask tuning can be done using Mask Refine tool. You can order full version of this plug-in now ($49). 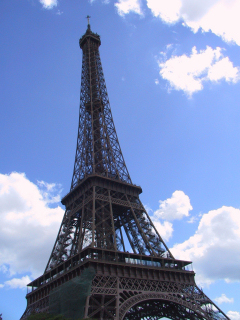 Copyright Ã‚Â© 2006-2009 ImageSkill. All rights reserved. Partners.